Looking for something fun to do this weekend? Then head on over to the Death Valley ’49ers Invitational Western Art Show. It really is genuine old fashioned family fun with loads of historical activities above and beyond the canvas. Never participated in historical reenactments? Here is your chance to join an encampment or rendezvous and experience a bit of history for yourself. Not to mention, this juried art show features excellent Western Art, by both new and well known artists. Thursday through Sunday, November 7-10, 2013. This will be my 3rd year attending this show, and I have to admit, it’s one of my favorites. It was here I received my first artist recognition, earning a 3rd place and best new artist award my first year, and receiving a 1st place award my second year. Is it any wonder I’m excited to participate? Vote on your favorite piece. Support your favorite artist! 1st, 2nd and 3rd place ribbons are awarded to each of the five categories as well as the Plein-air competition based on voting done by fellow Death Valley ‘49ers. Watch the creative process at work as artists complete a masterpiece in 45 minutes. 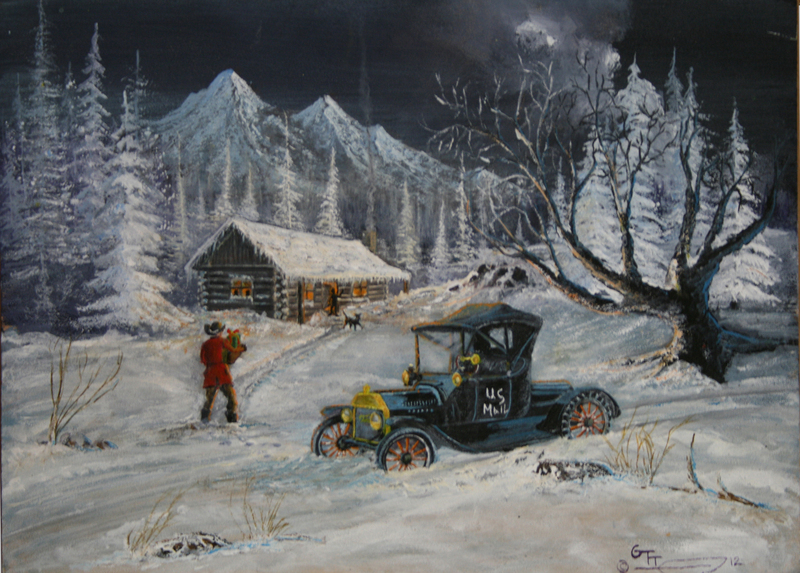 Original art makes an excellent gift, so come on over and join the fun.